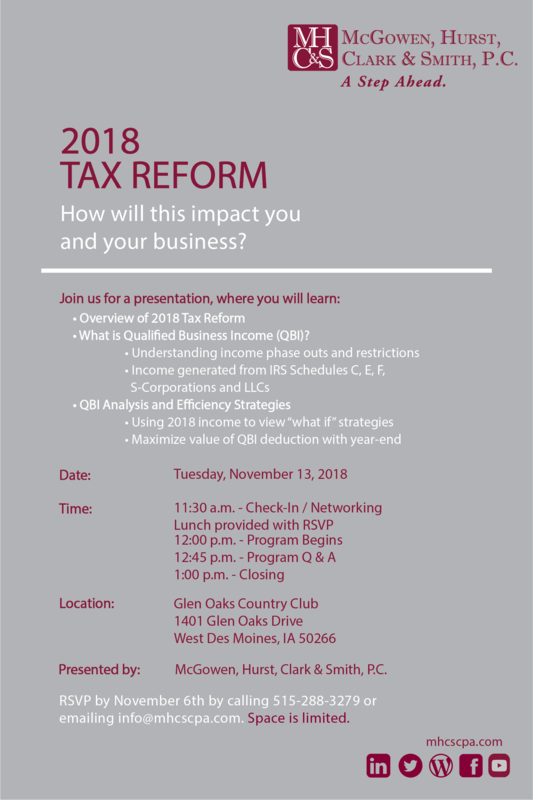 You’re Invited to our 2018 Tax Reform Seminar! To RSVP for the Tax Seminar, please call us at (515) 233-3279 or email us at info@mhcscpa.com. Lunch is provided with your RSVP. Space is limited. We look forward to seeing you on Tuesday, November 13th! You are currently viewing the archives for September, 2018 at McGowen, Hurst, Clark & Smith.